The Met Office says that snow might fall as early as next week in Scotland where sub-zero temperatures are being forecasted, but it will mainly be isolated to mountainous areas in the north of the country. Forecasters have also warned that snowfall could hit more widely across the UK in November as temperatures fall dramatically at the end of next week. The Met Office told The Sun Online: "It's going to get colder. We can expect some showers of snow falling on the high grounds of Scotland, but that's fairly typical for this time of year. "[In November] temperatures will still be on the lower side. 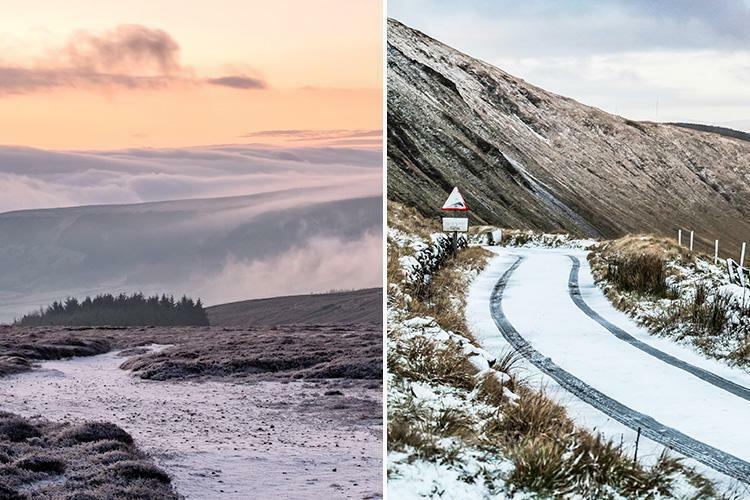 "There's potential that we could see some snow across Scotland and North England." The cold weather has already rolled in with thermometers showing -3.5C in Katesbridge, Northern Ireland last night. And it seems that Britain could be in for more chilly evenings this week. The Met Office spokesperson added: "Tonight could be similar, with temperatures down to -2C or -3C in the North East. "Even in the South, we could get down to 2C or 3C, with the potential for some ground frost in South West England." The cold snap follows days of balmy 23C temperatures and glorious sunshine earlier this week. The Met Office spokesperson added: "As we go through the next few days there will be some chilly nights in store and some patches of frost around overnight wherever the skies are clear. "Through next week, it looks like we’re going to have a North West/South East split. "It will often be cloudier across the North West with some stronger winds and probably some spells of rain at times, whereas further South East it will generally be drier and brighter with some sunshine." Today there will be sunny spells around the country with temperatures possibly climbing as high as 17C in Southern England. The weekend will generally see more in the way of cold weather, potentially with some light rain on Sunday.